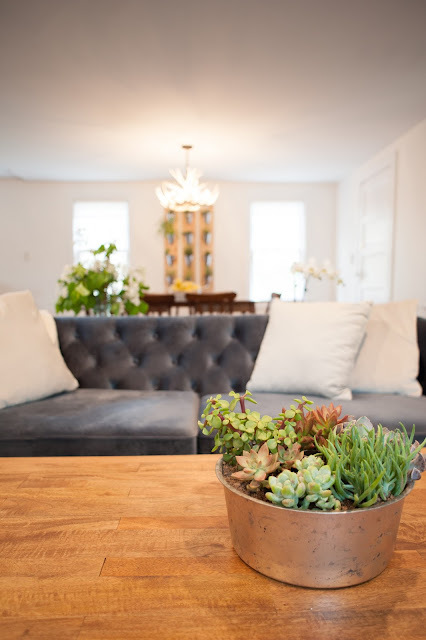 You've already seen the country cottage living room makeover (which definitely qualifies as one of my favorite rooms evah!) so it's time to see the other side of this room which is the dining space. 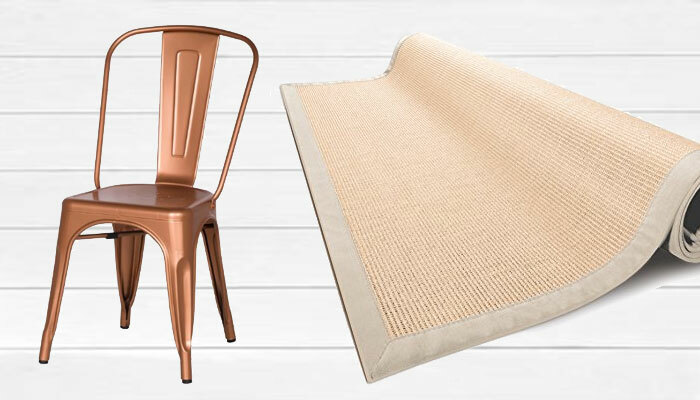 With budget a serious constraint, the decision was the keep this room simple and more cabin like. 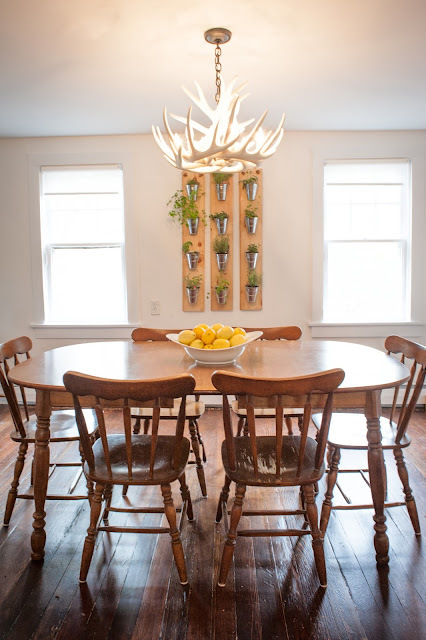 That way it served as a counterpoint to the living room as well as a calm, open entryway to the whole house. 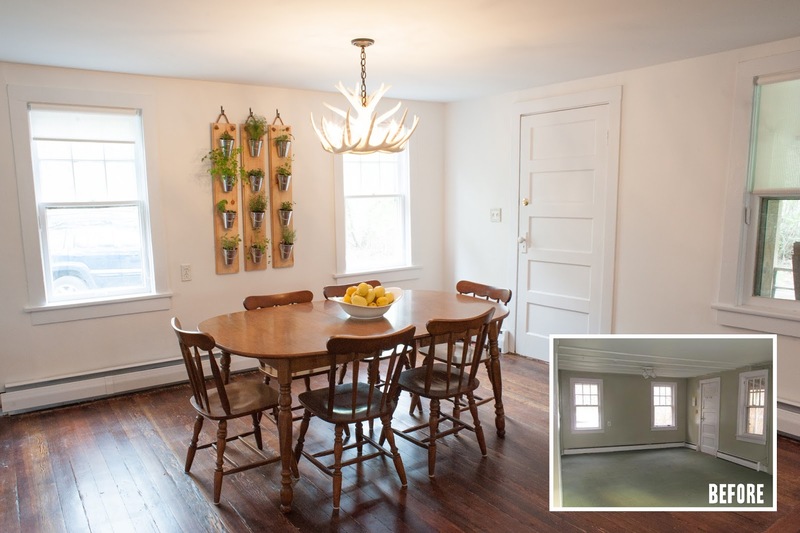 Renovation was essentially a clean up job. Pulling up carpet, sanding and staining the rustic existing floor boards and the whole space getting a fresh coat of white paint. The dining table and chairs are hand me downs from my sister in law's parents so absolutely free. 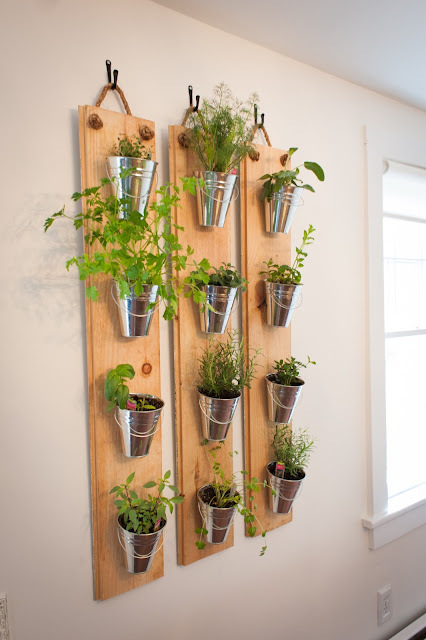 The indoor herb garden was put together with a few scraps and some hardware and make a great live addition to the room. 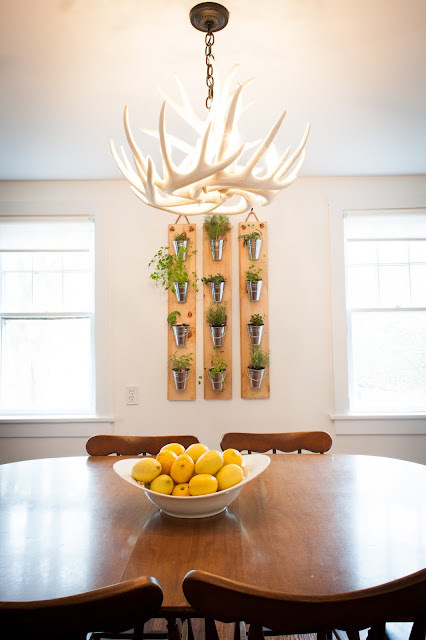 The one splurge was this antler chandelier which gives the whole space a fun element while still being clean and modern.